Having played both Bangai-O and Spirits, I was expecting many missiles. The sheer size and number of projectiles when I first launched a MAX attack stays with me, as well as the slowdown, half of which I'm sure was fake. I am hopeless at the game itself - but I will never forget the car's radio playing Outrun music in the cutscene after the prologue. The final upgrade to your hovercraft ... and suddenly you have a spaceship. Having become familiar with the world over a number of hours, being torn away to pursue the final fight was unsettling. ATTENTION! Matt didn't read the instructions, and failed time and time again. Calling upon the bravery and spirit of the elder brother to cross the water. An astounding statement made with no words. Unbelievable slowdown when reaching the desert town. I gave up and played the PC verion a couple of years later. Having made it to the end of the game, the last corridor and boss were just too difficult. I never completed it and resent the whole thing to this day. 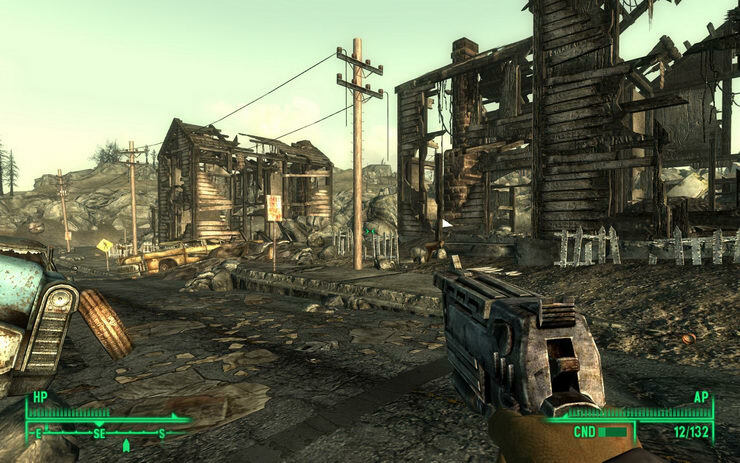 So, Fallout 3. Thing is, I seem to have been playing this game (on and off) for years. Which probably isn’t an exaggeration. I mean, the game is HUGE and then there’s expansions on top of that. Despite being about level 10 and completing the Anchorage and Mothership add-ons, I’ve barely scratched the surface. In main quest terms, I’ve only just done the initial ‘slap the dish on top of the Washington Monument’ mission. Long term Nelefans (and those who have had a wee nose through the past stories archives on this very site) will be aware that I like the Final Fantasy games A Lot(tm). 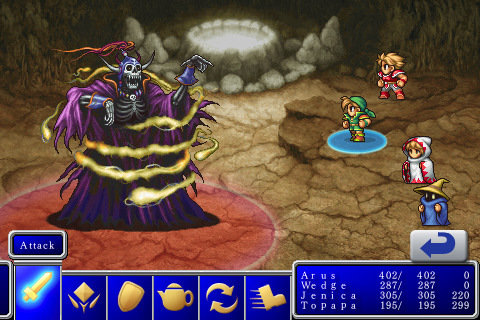 I played through FF1 on the GBA a couple of years back, so why on earth am I doing it again on the iPhone? Because it’s lovely, that’s why. Graphically, it’s a straight port of the PSP version, but the touch controls are a joy to use. Not only that, but it can be nabbed from the app store for a couple of quid. Number 2 is there too. Anyhoo, I’ve only just started playing – formed a party, done a few random encounters, then I’m gonna head north to get my arse handed to me by the bad guy.